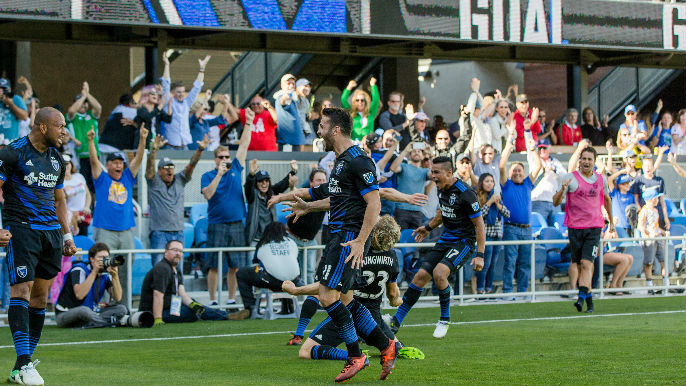 The Earthquakes dramatically punched their ticket to the Audi 2017 MLS Cup Playoffs with a 3-2 win over Minnesota United FC on Sunday at Avaya Stadium. Late game heroics from Quakes forwards Chris Wondolowski and Marco Ureña helped the Quakes finish the regular season in sixth place in the Western Conference with a 13-14-7 record, earning the team’s first berth in the postseason since 2012. The Quakes’ single-elimination Knockout Round match of the 2017 Audi MLS Cup Playoffs will take place on Wednesday, Oct. 25 against Vancouver Whitecaps FC at BC Place. Kickoff is at 7:30 p.m. PT and the match will be broadcast on UniMas, NBC Sports California, KNBR 1050 and 1370 KZSF.